Snow days in Studio City? Let’s do this! 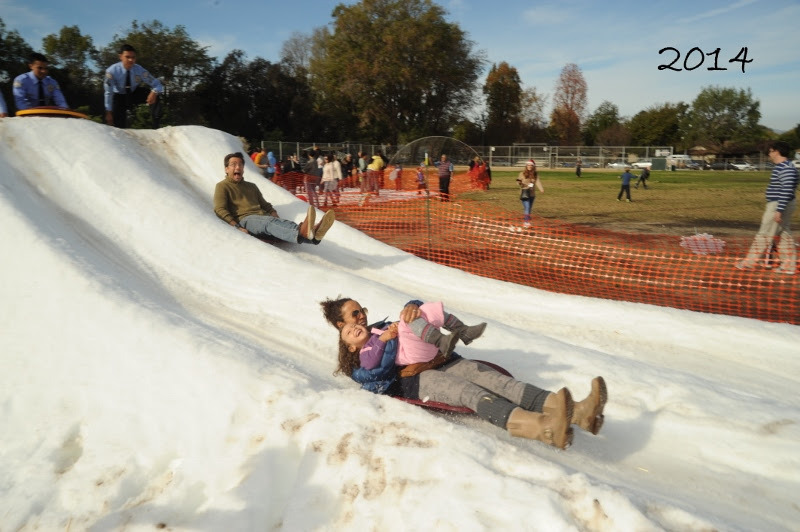 70 tons of snow is set to hit Studio City on Sunday, December 13, 2015 at the Fifth Annual Studio City Winter Family Festival. Presented by the Studio City Residents Association (SCRA) and the Studio City Recreation Center this man-made winter wonderland will host sledding, snowman making, gingerbread house decorating, craft-making, holiday card making for the troops, photos with Santa, live music, dancing and so much more. In addition to the snow games, local restaurants will also participate by giving out free samples of food as part of A Taste of the Holidays. Participating eateries include Chin Chin, Gangadin, Lemonade, Local Ice, Mendocino Farms, Pizza Rev, The Grain and the Greens, The Village, Tuning Fork, Chantel & Bella and The Front Yard with more to be announced. While this is a free event, kids and families are encouraged to donate to the Festival of Giving to help those in need during the holidays. Everyone who donates will be entered to win prizes including 4 one-day admission passes to Universal Studios Hollywood with front-of-the-line passes, and more. The Festival of Giving is requested items such as canned/packaged food; new, unwrapped toys; baby diapers, bottles, baby food, formula, diaper bags and diapers; pet food and pet beds, cat litter boxes, along with cleaning supplies; new/gently used children’s books (K-12); and new/gently used clothing and blankets. Beneficiaries from donations include: The North Hollywood Interfaith Food Pantry, the LAPD North Hollywood Gift and Food Drive, St. Charles Service Center, Pet Orphans, Iris Blossom Charities, Aviva Family and Children’s Services, and Milk + Bookies. Parking: Free parking at CBS Studio Center, 4024 Radford Ave., Studio City, CA 91604, with free shuttle to/from the event. For more information visit studiocityresidents.org.